In studies or in life, you can be 'slow' or 'fast.' Speed in itself is never a problem. Both slow and fast types can achieve good results in life. Traders are very fast, making dozens of decisions per minute. Poker players are very fast too. Fencers, boxers, tennis players are very fast too. Kazuo Inamori was very slow. 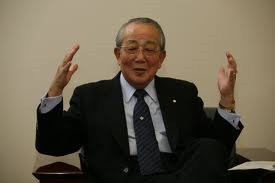 It took him and 5 engineers and more for about 6 months to start KDDI, Japan's second-largest telecommunication services provider. Lou Gerstner was very slow. In Who Says Elephants Can't Dance? , he took about a year to come up with a turnaround strategy for IBM. Sir General William Slim was slow. It took him rounds of consultation to do a "Defeat Into Victory" in Myanmar against the Japanese.